Against Me! have finished tracking their upcoming album, Transgender Dysphoria Blues, according to frontwoman Laura Jane Grace. Check out a tweet from Grace, below. Earlier this month, the singer announced that the band had plans to record in San Francisco, and that Fat Mike (NOFX) and Atom Willard (Angels & Airwaves, The Offspring) would be joining the group for recording, on bass and drums, respectively. As Grace noted in her tweet, recording Transgender Dysphoria Blues has been a tumultuous process. Over the past six months, Against Me! saw the departure of both drummer Jay Weinberg and bassist Andrew Sweard, and abruptly dropped off of a planned tour with Bad Religion. Faced with questions about the band's future, Grace went on record proclaiming the album “too important” not to release under the Against Me! name, despite the fact that she and James Bowman are the only remaining members. Against Me! have been working on the album off and on since early 2012. 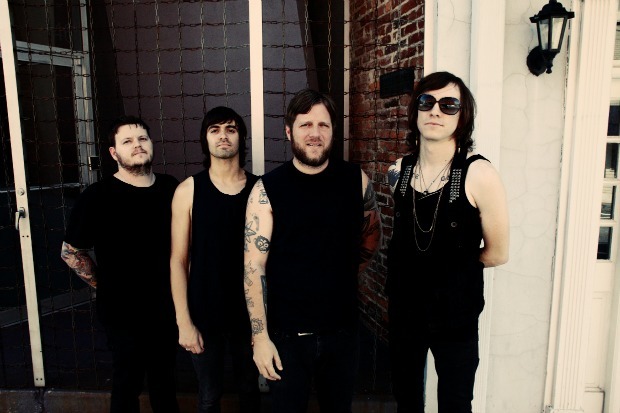 It marks the band's first release to be both produced and engineered by Laura Jane Grace, and will also be the band's first record since Grace publicly came out as transgender, and began living as a woman, in 2012. No release date is currently set, but the album is expected to arrive before the end of the year.